Trying to think of an entree that went along with my Wish It Were Spring Theme, I liked the idea of something that looked like nests and eggs. Pasta and meatballs immediately came to mind. It would be easy to make, filling, and hopefully tasty! 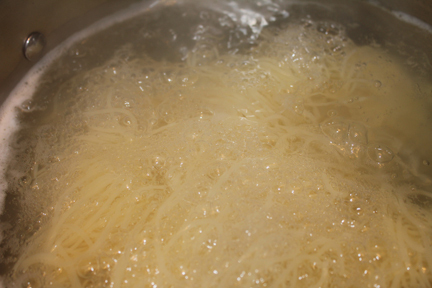 I found angel hair nests – pasta preformed into little nests! How fun is that? 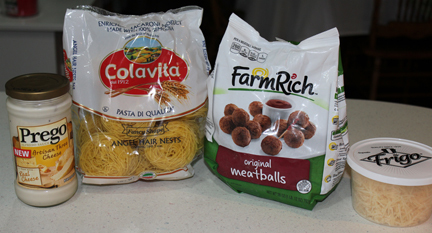 Cook the meatballs according to package directions, as well as the pasta. 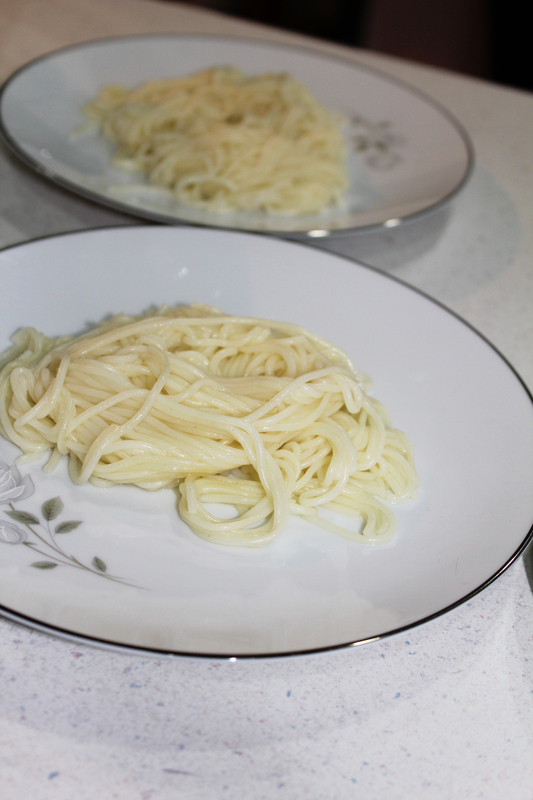 Since my nests were no loner nesting, I spooned the pasta onto plates, trying to make it look like a nest. 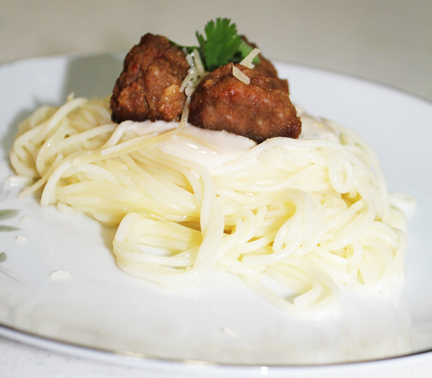 Then served it topped with Alfredo sauce, meatballs, and a sprinkling of Parmesan cheese. A bit of cilantro added a pop of green color.